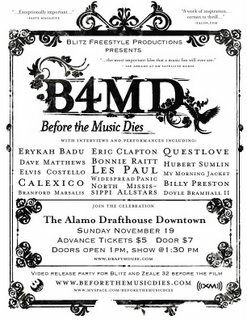 Blitz and Zeale 32 are having a video release party at the Alamo Drafthouse Downtown on Sunday, Nov 19th before the showing of Before the Music Dies. 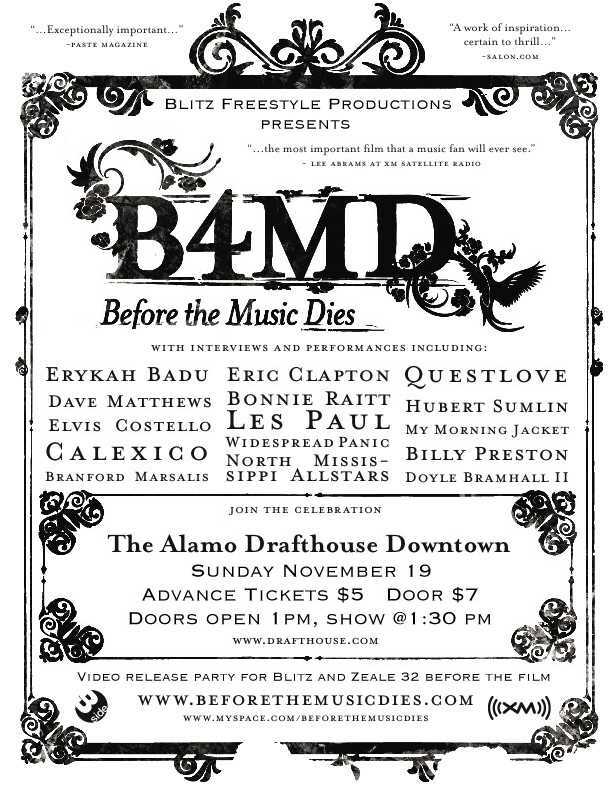 Which by the way is a cool documentary on the current state of the music industry... I love the Erykah Badu interviews. ;) Presale tix are $5... get them online here.